There is something within us … that demands we pursue the whole story of the whole cosmos if we are to be whole persons, in order to know who we are, where we are from, where we are going, and how we should live. We want and need the ‘whole story,’ but the whole story is difficult to tell. We can reduce the magnitude of the task by taking a cue from the title of the meeting, namely “Cosmos, Nature, Culture: A Transdisciplinary Conference.” The ‘whole story’ can be divided into three stories: the story of the unfolding of the universe (‘cosmos’), the story of the evolution of life (‘nature’), and the story of human history (‘culture’). This paper focuses on the third of these. Of course, human history is rooted in nature which is a manifestation of cosmos on our planet, but its story is also a ‘partial whole’ unto itself. Indeed, it may be that constructing this story presents the greatest challenge. We have a draft of the story of the cosmos, though it is far from complete, especially about the origins of the universe, and far from free of mystery, for example about dark matter and dark energy; and future discoveries are certain to surprise us. A similar situation exists for our story of nature. Here too we are ignorant about origins, i.e., how life began, and there are gaps in our knowledge of evolution and its mechanisms. Still, adequate stories of cosmos and nature are available in rough form. By contrast, we do not have even a preliminary draft of a story of ‘culture,’ i.e., human history, that has the degree of consensus that exists about our stories of cosmos and nature. Telling the story of cosmos is the job of physics. Telling the story of nature is the job of biology (and the story that bridges nature and cosmos, geology). Telling the story of culture is the job of history (with assistance from the social sciences and the humanities), but until recently historians have been reluctant to try to tell such a story. They point to a distinction between the ‘nomothetic’—the lawful—and the ‘ideographic’—the unique and contingent, and argue that history belongs to the realm of the latter. Macro-histories and philosophies of history, such as those of Hegel (1837), Marx (1859), Spengler (1926), and Toynbee (1946, 1957), have thus not been well regarded by most historians, who commonly hold that no plausible account of the whole of human history is possible. 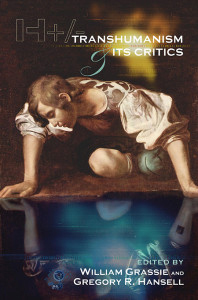 Post-modernists also reject meta narratives as oppressive and ‘hegemonic.’ In recent years however, attitudes in the field of history have shifted, with the emergence of the sub-field of world history and with new interest among historians in ‘big history’ (McNeil & McNeill 2003; Christian 2004). While this shift may have been stimulated by the positive example of those telling stories of cosmos and nature, it is predominantly a response to our new sense of the unity of the planet. This unity—the result of space exploration, globalization, the Internet, the environmental-ecological crisis, and other factors—makes evident the need for a holistic account of the human past. The issue is not merely of academic interest. To support a synchronic understanding of current threats to the biosphere, we need a diachronic view that puts the present danger in a historical context. Our understanding of the past exerts a powerful but often unseen influence, and if universal history is impossible as science, it is still necessary as myth. Perhaps attempts to construct a theoretical history amount to the making of myth in scientific language; if so, we should construct as compelling a myth as we can. There is actually no escape from macro theories of history and meta narratives. If we do not have an explicit historical model, however flawed, we default to our private mental models that are flawed more severely for being unexamined. For example, if one insists on the irreducibly unique character of historical events, this in effect implies a particular historical theory, namely one in which events are random or, what is close to this, the unpredictable results of actions launched by a multitude of individual wills. But such a theory would explain much less than theories that posit the operation of large scale social forces, whether material or cultural. If theory is possible in sociology, political science, and anthropology, it is possible also in history. A denial of this, taken to an extreme, would imply that historical events are devoid of pattern. While the uniqueness of human history makes scientific treatment difficult, the unique histories of cosmos and nature have not stymied the efforts of cosmologists and biologists. Even singular events are lawful and can be investigated scientifically by studying their underlying dynamics and their similarities to other phenomena. A theory of history need not imply that history unfolds deterministically or that random or unique occurrences do not play an important role, nor does it inherently disallow the possibility of the free will of individuals. To be sure, macro-historical theories are great simplifications, but all theories are simplifications; whether or not a theory is an oversimplification depends on what it is called upon to perform. A macro-historical theory is needed for us to have a sense of the whole of human history, however coarse an approximation the theory may be. The objection that any theory accommodates only a fraction of what is known is not a reason to dismiss it, just a reason to augment it with other accounts. The blind men differ about the elephant, but they each do grasp part of the truth, and these truths could be pooled. Moreover, a theory is less to be judged by how many facts it explains than by its explanatory power relative to alternative theories of comparable simplicity. This paper offers a holistic account of human history that draws on systems ideas. These ideas are widely used in sociology, anthropology, economics, and political science in synchronic models of social systems, and von Bertalanffy (1979), one of the founders of the systems field, believed that they could be relevant also to history. One might still ask: even if one grants the feasibility of universal history, if works such as those of Marx and Toynbee are considered unsatisfactory by historians, how could a systems theorist hope to do better? But this is not von Bertalanffy’s claim. What he thought possible was something more modest than the construction of a full scale theory. He argued merely that the systems field could offer the discipline of history new concepts, mathematical formalisms, and modeling methodologies. Many theories being investigated in the systems field are of potential interest to historians. Some were developed within the systems community; many others having a transdisciplinary character were ‘borrowed’ from specialized disciplines. For example, in both non-equilibrium thermodynamics and generalized evolution, time is understood differently from the way it is usually viewed in physics, where the time-reversibility of physical laws implies that the directionality of time is illusory; in these theories, time is real and directional, as it is on the human scale. In non-linear dynamics, chaotic systems are sensitive to initial conditions and perturbations of state precisely because they are governed by dynamic law. In ‘frozen accidents’ (Gell-Mann 1994), randomness and determinism, the contingent and the necessary, both manifest. The ideographic and nomothetic are complementary, not antagonistic. This paper is based on previous work of the author, specifically a model of hierarchical order applied to molecular biology and linguistics (Zwick 1978a) and a catastrophe-theoretic interpretation of Hegelian and Marxian dialectics (Zwick 1978b). This earlier work and the present paper draw on a variety of ideas from graph theory, nonlinear dynamics (chaos and catastrophe theories), information theory, non-equilibrium thermodynamics, and other theories, but space constraints prohibit a presentation here of technical explanations. The model also draws on Bennett’s (1961, 1966) ‘systematics,’ a philosophical framework of number and graph symbolism. Though it is based on mathematical ideas, the model is not derived deductively. It is conceptual more than mathematical, and is heuristic and speculative. But if a macro-historical theory is to give coherent form to historical knowledge, the skeletal structure of the theory needs to be adequately complex. To take this analogy further: the human body would not be well served by the skeletal structure of a primitive vertebrate or by a bony structure without tendons, ligaments, etc. Yet historical theories that postulate a sequence of lineal or cyclic stages are using very elementary conceptual forms. The charge of oversimplification often leveled at historical theories is really addressed to these underlying structures, rather than the narrative expositions based on them, whose level of detail is not so readily faulted. The assertion that systems theories might provide more complex structures for historical models does not imply that systems ideas per se are inherently complex. For example, the world history study by McNeil and McNeil (2003) is organized around the structural idea of a ‘network.’ These authors describe human history in terms of an ever increasing web of interactions that has gradually enlarged to encompass the whole globe. Networks are a main theme of current complexity research, but the core idea of a network is fairly simple, and the authors do not offer any elaborate analysis of network structures. What is presented in the next section is a process model whose structure is complex. The structure is presented in figures and explained in accompanying exposition, and hopefully the verbal explanations alone will suffice for readers unaccustomed to abstract diagrams. In Section 3, the model is applied to macro-history. The result is far from a ‘whole story’ of culture, but might serve as a structure for one. It is useful to be explicit about the assumptions of the model. Levels of complexity and stages of development are taken to be not infinitely plastic. Only certain structures are stable enough to be enduring parts of some external order. For example, whether an atom occupies one or another energy level may be contingent on the process the atom is involved in, but the spectrum of atomic energy levels is given a priori by physical law. The phenomenon of convergent evolution, where the same adaptation is independently discovered by different species, also demonstrates that in many contexts the archetypes of structure and function are discrete and limited in number. The model also assumes that processes are governed by both chance and necessity (Monod 1972), and that it is a mistake to overemphasize one or the other. Possibilities are finite, sometimes even few. Chance and necessity are both involved in selecting the actual from among them. History is a mix of the ideographic and nomothetic, and is amenable to theory. A process is governed by some ‘organizing principle’ (OP). The process develops (‘expands’) in stages, as potential becomes actual. Development is partially deterministic and partially stochastic (random). It is shaped mainly by internal factors but subject also to external influences. It is especially hindered at two points of difficulty (‘barriers’). An early minor barrier limits the spontaneous increase of complexity. A final major barrier blocks a transition to a new and more complex OP. Multiple processes can blend, and mitigate or exacerbate these difficulties. In Figure 1 below, some of these ideas are visually displayed in terms of hierarchical levels of complexity, with temporal development being only implicit. Later, in Figure 2, this scheme is modified to more explicitly specify a temporal process. Figure 1(a) shows increase of complexity ‘spatially’ (synchronically) in terms of levels of organization. Levels are not all equal. Those in bold and with longer lines are special because they represent the emergence of qualitatively distinct organizing principles. OP1 and OP2 might, for example, be levels of atom and cell, respectively, with intermediate levels representing small and large molecules and macromolecular aggregates. Reaching the level of cell requires integration via a qualitatively new principle (OP2), as would going from a cell to a multi-cellular organism (OP3). Replacing one organizing principle with another is a kind of ‘cyclicity,’ so in a sense this model includes lineality and cyclicity. (a) Levels of complexity. Arbitrarily, only one level is shown below OP1 and above OP2, but further levels exist. System formation events (OP1 and OP2) are distinguished from generic stages. (b) Complexification as expansion and concentration. The region from OP1 up to but not including OP2 is the domain of influence of OP1, although once OP2 is realized, it extends its influence downward. Levels of complexity are either actual or potential, but what is potential and not yet actual is still real. This is like the energy levels of an atom: a higher energy level may or may not be occupied by a particular atom, but the level exists as potential even before any atom has this particular state. Another example where potential can be said to exist before it is instantiated is an ecological niche that is not yet filled. These notions of actual and potential are close to Kauffman’s (1993) conception of the ‘adjacent possible’ although what is potential need not in fact be adjacent to what is actual. Just as all levels of complexity are not equally salient, all increases in complexity are not equally accessible. Two inter-level transitions are especially problematic. The major barrier, encountered at the end of the process, reflects the difficulty of transformation to a qualitatively different order. At this juncture, continued development needs an integration that replaces the old organizing principle (OP1) with a new one (OP2). The minor barrier, encountered much earlier, makes it difficult to reach higher levels in the OP1 domain by spontaneous complexification. Often this is because of combinatorial complexity. While OP1 inherently can support complexity all the way up to but not including OP2, it is rare for spontaneous processes to fully realize this potential. The model does not specify a particular number of levels between OP1 and the minor barrier or between OP1 and OP2; it asserts merely that a major obstacle to reaching OP2 exists, and that bottom-up complexification stalls well before the organizing potential of OP1 is exhausted. Figure 1(b) above shows the organizing principles as vertices of double cones. A system is a set of elements integrated by relations into a higher level element. In the figure, the participation of elements in complex structures is the cone of expansion rooted in OP1, while the integration of such structures into a higher level element is the cone of concentration leading to OP2. Complexification is initiated with expansion and completed with concentration. (An alternative perspective: a system forms by concentration and manifests in expansion.) The set of levels from OP1 to OP2 is thus divided into two parts by the minor barrier. For example, going from atom to cell, lower levels consist of small molecules ordered by covalent bonds whose interactions are dictated by the laws of chemistry, while upper levels consist of macromolecules which interact mostly via non-covalent bonds and are specified by the genetic information of the cell. Analogously, going from cell to organism, lower levels primarily involve inter-cellular interactions, while upper levels are specified by programmed differentiation at the level of the organism (Zwick 1978a). In principle, every level can be viewed as a ‘system’ and reaching the level as a ‘system formation’ event, but in this paper only levels that correspond to vertices of the cones are associated with such events. (a) Levels of complexity are here stages (short vertical lines) s2, s3, etc., reached over time, minor (dotted) and major (dashed) barriers are also now vertical. (b) Multiple processes having the same OP may reach different stages. The minor barrier makes continued complexification difficult. Not shown are processes reaching later stages and the difficulty of achieving OP2. Note that the line in Figure 2(a) starts earlier than the system formation event (OP1). System formation is never ex nihilo. Precursors always exist (in Figure 1(b) precursors to OP2 are represented by the cone of concentration leading to it). Figure 2(b) illustrates the fact that progress to later stages of development (s2, s3, etc.) is neither inevitable nor irreversible (the same is true for Figure 1): given several processes having the same OP1, some advance to s2, some to s3, but only one—because of the minor barrier—is shown advancing to s4. ‘Time’ here means sequence, not chronology; it just orders events; two processes that reach s2 do not necessarily reach it at the same moment. Figure 2(b) also shows that a process can reverse itself and move toward earlier stages, or can branch into alternative paths of development or differentiate into multiple paths. Several features of the model are not represented in these figures. Contingency and external influence affect the process at all stages but are especially critical at the two barriers. Stages also are not simply events which sequentially follow and ‘replace’ one another; later stages may retain aspects of earlier ones or be ‘layered over’ them. Also, a stage might impact not merely the next one but later stages as well. A potential for reaching OP2 is implicit in OP1, but whether this potential becomes actual, whether OP1 is ‘completed’ and OP2 reached, is contingent and not determined. Expansion does not always lead to successful concentration. When it does, OP2 may first be achieved transiently, after which the full potential of OP1 can be realized and the new organizing principle stabilized. Or there may be an internal innovation or supplementary process that ‘manages’ complexity and helps the primary process past the minor barrier. Such a secondary process might come from differentiation within the system or might have an external origin; it too will encounter its own points of difficulty. Figure 3 below depicts this idea that a secondary process can assist the primary process through the minor barrier. The occurrence of such a secondary process, like transitions from stage to stage in the primary process, is contingent and not determined. Figure 3 below simplifies Figure 2(a) by omitting the individual stages, drawing each process as a directed line (an arrow). The simplicity of a line hides the complexity of what it summarizes; it does not mean stasis; it represents the unfolding of a process in disequilibrium, an unfolding that is probabilistic and not necessarily unidirectional. This simplified representation omits stages and shows only system formation events and major and minor barriers (dashed and dotted lines, now horizontal). The secondary process, B, which differentiates from the primary one, A, is not shown here as requiring passage through a major barrier, but this is provisional and requires further investigation. In the figure, the secondary process is the result of a differentiation. The two processes are shown as separate for visual clarity but they actually blend together. This is another source of difficulty in diachronic development. Processes are subject not only to (i) the contingencies of moving from stage to stage and (ii) the barriers that pose special difficulties, but also to (iii) the tensions that accompany differentiation and integration. The model assumes the existence of some disequilibrium that generates the process, producing both its overall unfolding and stage-to-stage transitions. Disequilibrium might be described with non-equilibrium thermodynamics which governs systems driven by a flux of matter-energy and whose dynamics are non-linear. Such systems have steady states defined by their dynamic law, but transitions from one state (stage) to another may be triggered by unique and contingent factors (Prigogine 1980). The overall unfolding and stage-to-stage transitions also lend themselves to a dialectical view of process which can be modeled mathematically with catastrophe theory (Zwick 1978b); this formalism can in addition model the idea that a secondary process can assist a primary process through its minor barrier. Systems driven far from equilibrium by matter-energy flux may spontaneously reach critical states where they are vulnerable to—or poised for—significant singular events (Bak 1996); this ‘self-organized criticality’ might characterize systems at barrier points. The next section applies this process model to human history. The result is a coarse schema, a “crude look at the whole” (Gell-Mann 1994), in this case a historical whole. The model is a ‘filing system’ for organizing knowledge, but a complex filing system is an epistemology if not an ontology, and the model may suggest some new insights. The model is applied to macro-history by defining three processes, one of which is primary. To introduce this application, it is useful to set out first what the stages of the primary process might be; ‘might be’ because the model, as applied here to history, does not specify these stages exactly, only the character of the processes and the nature of their barriers. Still a provisional scheme of stages is useful for later discussion, so such a sequence of stages (Stearns 2007) is set out in Figure 4 below. Two caveats need to be made about this periodization: (1) the beginning and ending dates of the periods are approximate, partially arbitrary, and provisional; (2) these dates are not what is really being modeled: as noted above, the model specifies a sequence of stages, not a chronology—two societies might reach the same stage at different times. (a) Stages of world history, whose beginnings are labeled S1 to s8; the time scale here is not linear but more logarithmic: the earlier stages are much longer than later ones. (b) System formation events A, B, and C, hypothesized in the model (shown more fully below in Figure 5). The processes launched at A, B, and C blend together. The period of biological emergence spans the first appearance of Homo sapiens sapiens through the earliest hunter-gatherer societies until the Neolithic Revolution, the second stage. The third stage covers the early civilizations that developed around the Tigris-Euphrates, Nile, Indus, and Yellow Rivers. The fourth is the ‘classical’ period of urban civilizations of Greece and Rome, Persia, China, and India. The fifth stage, the Post-Classical period, begins with the fall of empires, e.g., of Rome, the Han dynasty, and Gupta India. The sixth stage includes the Renaissance, Reformation, Enlightenment, and the origins of modern science. The seventh and eighth stages mark the modern era. A similar sequence of stages is offered by Mumford (1956). Note that since the model does not itself specify a particular number of stages between organizing principles and their barriers, the arbitrariness that is inevitable in any periodization is not problematic. Figure 5 expands on Figure 4 and depicts history in terms of three processes. PI is the primary process of societal development, including the dependence of human society on nature. PII is the diachronics of culture; after B, it refers to the Axial religions and philosophies (discussed below). PIII is the transition to modernity that happened first in the West: secularism, humanism, and—quintessentially—the emergence of science and technology. PIII links and mediates between PI and PII: science is part of culture, but technology is part of the material order of society. A, the systems formation event of PI, occurred at S1; B, this event for PII occurred within s4 (the Classical period), and C, this event for PIII occurred within s6 (the Early Modern period). System formation events A, B, and C and minor barriers 1 and 2 occurred in the past; shown in bold in the figure are event D, minor barrier 3, and major barrier 4 which are occurring today. This figure, like Figure 3, uses a simplified representation where stages are not shown and barriers (dotted and dashed) are horizontal. ‘Science,’ the label for PIII, is shorthand for a more complicated notion. Point 5 and event E might occur in the future. The major barrier and the possible completion of PIII and the blending of the processes shown earlier in Figure 4 are not depicted here. The word ‘culture’ as applied to PII has a meaning narrower than its meaning in ‘cosmos, nature, culture,’ spoken about in the first section. There the word refers to all aspects of human life; here it means culture specifically (religion, science, arts and humanities), as opposed to other aspects of human society. This is shown in Figure 6 in terms of Talcott Parsons’ (1966, 1971) systems-theoretic view of social systems. (a) Parsons’ tetrad of ‘action’ applied to social systems; (b) hierarchical information and matter-energy flows; (c) relation of Parsons’ scheme to the processes in Figure 5. PII is ‘higher than’ PI and is a source of information that flows downward, while matter-energy flows upward, ultimately from nature, as shown in Figure 6(b). In Marxian terms, PI is ‘base’ and PII is ‘superstructure.’ PIII mediates: science per se, and the rest of culture, is part of the superstructure, but science-based technology is part of the base. (a) Triad of system formation events; (b) Triad of periods of expansion. This section discusses the Axial and modern transformations, which bridged the minor barriers of PI and PII, respectively. Section 3.2.1 Transformation in the Axial period discusses system formation event B that occurred at minor barrier 1. Section 3.2.2 Transformation to modernity discusses system formation event C that occurred at minor barrier 2. In Figure 5 the processes are vertically ordered in terms of the information vs. matter-energy hierarchy (this is the basis of the triadic schemes of Figure 7); Figure 8 reorganizes this earlier figure and displays processes based instead on their order of occurrence. In Figure 8, A is the primary initiating event, the emergence of the human species (its precursors are indicated by a), and the formation of early societies. While biological emergence happened only once, in Africa, human populations gradually dispersed over much of the planet, and societies formed in many locations. B refers to events that by contrast occurred in only some locations: in societies that encountered the dangers, disorders, and complexities of urban civilization (point 1 in Figure 8), and where the religious or philosophical innovations of the Axial period eased these difficulties and allowed continued development (Jaspers 1953, Mumford 1956, Armstrong 2007). Urban civilization had alienated individuals from society and presented threats and pressures on a large scale, but the new Axial definition of the person mitigated these tensions and facilitated social integration. Even if a materialist account—Marxist, geographic, energy-based, environmental, technological, or some mix of these—were sufficient to explain PI, it would still need to be supplemented by a culture-centered (PII) account. Human history is co-determined by base and superstructure; any reductionism, either downward to the base or upward to the superstructure, is simplistic and inadequate. The post-Classical period witnessed the flowering of the Axial traditions and their rapid spread throughout Asia, Africa, and Europe. There were comparable advances in PI in the proliferation of international trade. Recall that Figure 1(b) shows complexification as beginning with expansion and shifting to concentration; in the Post-Classical period there was such a turning point, when global interactions became more salient than local or regional ones. This is depicted in Figure 9. Turning point in Post-Classical period (s5) when an international trade system began to be a dynamic ‘attractor’ toward increasing unity. In the Early Modern period (s6), the Americas were included and a true world system was constituted. The Axial dispensations were events of differentiation. Although culture has always been an inseparable part of society, PII had emerged as an independent current, often in opposition to PI. But soon thereafter, the two currents reunited. Socrates was condemned by Athens, but Stoicism was later a mainstay of Rome; Christians were a persecuted minority, but Christianity became the religion of the empire. Islam briefly opposed the pre-existing order, but Mohammed was also a political leader, so in Islam the connection between religion and politics came early. The Axial traditions became intimately joined to the state in Christian, Islamic, and Confucian societies. (Relative to these other traditions, Buddhism maintained a greater distance from state and society.) For a time the union of PI and PII fostered the creative development of these civilizations, but ultimately the traditions rigidified. The Axial traditions encountered developmental difficulties (point 2 in Figure 8), such as disintegration, rigidification, and external vulnerability. These difficulties manifested in Christian Europe, in the Islamic Middle East, in Confucian (and Taoist and Buddhist) China, and in Hindu India in different ways and at different times, but societies integrated by religion-based culture everywhere faced challenges to further progress. In one location, however, these difficulties were overcome by a third system formation event (C in Figure 8, in the Early Modern period, s6)—the Renaissance, the Reformation, the Enlightenment, and the Scientific Revolution—drawing on cultural traditions that had first crystallized in the Classical period (s4). PIII is labeled ‘science’ for simplicity, but it is intended to include all forces that promoted the priority of reason and experience over authority and revelation. Armstrong calls this event the ‘Great Western Transformation’ and compares it to the transformations effected by the Axial religions. Just as the stalling of societal complexification (PI) was relieved by liberating influences of the Axial traditions (PII), so too was the stalling of religion-based culture relieved—initially only in the West—by the liberating influences of science and secular humanism (PIII). This liberation, however, did not come without conflict. 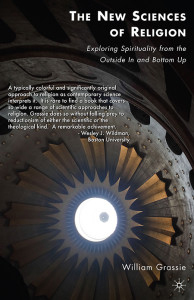 Though science emerged in a context of religion (Kepler was a mystic, Newton was devout though heterodox, and natural religion was a mandate of the new science), it eventually came into opposition to it. The authority of political and religious hierarchies was challenged by the reason of independent individuals. The new hope of humanism and secularism and exhaustion from the bloody religious wars led to the dissolution of the union of religion and politics. The West, at great cost, had grasped the important truth that the uniting of church and state accelerates the corruption of both. Just as PII had differentiated from PI, PIII now differentiated from PII and PI and pried the two apart. Why the development of science and the breakthrough to modernity happened initially in the West and not elsewhere has been the subject of much historical discussion. Science depends on the synergy of inductive empiricism and deductive theory. The present model shows inputs from PI and PII as prerequisites to science (in Figure 8, g and g′, interpretable as empirically-based technology and potential for theory, respectively). Technology was available not only in the West but also in China (Needham 1956) and other civilizations, so perhaps it was potential for theory that was the critical factor. The possibility of theory may have required a fusion of secular and religious traditions of suitable types. Only in the West was such a fusion accomplished: Christianity, with its conception of a created and thus explicitly lawful cosmos, was united with Greek philosophy, with its speculations about both substance and form, its observation of nature, and its appreciation of mathematics. By contrast, China’s secular Axial tradition, Confucianism, was society- rather than nature-oriented, and its religious traditions—Taoism and Buddhism—did not conceive of cosmos as governed by explicit law. Taoism was interested in nature, but the Tao was only implicit. “The way that can be spoken is not the true way” did not inspire an articulation of natural law. China’s ‘science’ was also very focused on form (Needham 1956)—in effect an early version of systems theory without the necessary foundation in mathematics and substance-oriented science. In Islam law was explicit, but interaction with Greek philosophy was transient and an enduring synthesis of religious and secular traditions was not fashioned. 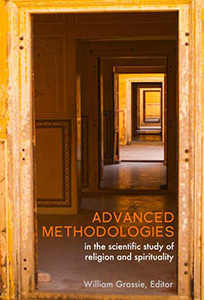 Science might have arisen in India, though it lacked a secular Axial tradition, since its religious thought was philosophical and its research into inner experience both empirical and theoretical, but there may not have been sufficient focus on nature or adequate technological support. PIII had profound effects on PI and PII. The transformation to modernity promoted the development of the West and its world dominance during the last few hundred years. While forms of science and technology occur in all societies, it was in the West that science first crystallized as an autonomous aspect of culture and an inexhaustible source of technology. Interactions between societies became more extensive as the human web spread from Afro-Eurasia to cover the entire planet (McNeil & McNeill 2003). As modernity took hold, a ‘world system’ (Wallerstein 1974) formed, and global factors gained ever greater significance. The material life of societies was transformed by the utilization of fossil fuels. The increased flow of energy through Western societies allowed them to achieve unparalleled heights of wealth. After a successful beginning but before encountering its minor barrier, a process often enjoys a period of vigorous expansion. For PI this was the Agricultural Revolution, for PII the development and spread of the great religious traditions (in the Post-Classical period); for PIII it was the Industrial Revolution (in the Long 19th century). This is depicted in Figure 7(b) above. Every expansion eventually encounters limitation. Modernity did not turn out to be the advance it first seemed to be, even for those mostly enjoying its benefits. Today modernity has reached its minor barrier and, simultaneous with this and linked to it, societal development faces its major barrier. Difficulties of PIII and PI are exacerbated by tensions involving PII. These crises of the present historical moment are discussed in the next section. Figure 10, like Figure 8, shows the processes displayed based on their time of occurrence, and labels only the barriers of the present. Section 3.3.1—Crises of society and of modernity—discusses minor barrier 3, major barrier 4, and possible system formation event D. Section 3.3.2—Crises involving religion—discusses the additional difficulties involving PII at these two critical junctures. In societies that experienced the transformation to modernity, class divisions intensified, though in response to the challenge of Marxism these divisions were to some extent mitigated. Societies that did not accomplish this transformation lagged behind and were exploited by the industrialized and militarily powerful West. In some locations in Asia and South America, the West-East and North-South disparities of development have since lessened, but the distortions caused by the Western origin of modernity are not fully rectified. Literary theory imagines us living in post-modern times, but economy, polity, and community in much of the world is pre-modern. Whether this is due to persisting effects of past imperialism and colonialism or to internal socio-political or cultural factors, democracy and economic development have not been achieved everywhere. Modernity is not merely flawed by inequality. Because of technology, it now faces a crisis that is acute and fundamental, and not just societal but biospheric. Development driven by fossil fuel-based industrialization is destructive of the environment. Climate change is a planetary danger second in potential harm only to global nuclear war, and though the threat of nuclear war has receded it has far from vanished. Massive species extinctions are occurring, and planetary ecosystems are everywhere being degraded. Economies need to shift from exponential expansion to sustainable steady states, but this radical change in organizing principle faces powerful opposition. The complexity, momentum, and negative externalities of technology appear uncontrollable. People have always thought that they lived at a special time in history, so claims to this effect must be greeted with skepticism. These claims are also denied by the temporal version of the “Copernican Principle” (Gott 1993)—the idea that no point in time is privileged, just as Copernicus argued that the Earth is not a privileged point in space. Skepticism and memory of Ptolemaic hubris notwithstanding, we are in fact living at a singular moment in human history (Boulding 1965). Human societies expanded from a single origin and are converging toward a new unity (A and D respectively in Figure 10; such expansion and concentration is shown in Figure 1). Matter-energy globalization in PI is moreover potentiated by information globalization in PIII. We now face the major barrier of the primary historical process (point 4 in Figure 10), which needs to be bridged by a system formation event. If reached, D would echo A at a higher level. This is depicted in Figure 11: in A, the human species emerged biologically; in the completion and new beginning of D, the biological aspects of PI would again be salient, but on a global rather than local scale. We might ask about the planetary transformation that is underway: what is it like, what other transformation does it resemble? A possible answer is that it is like the origin of life: the integration of many molecular components into the coherent unity of a living cell. Such an event is taking place in the present historical moment: a multitude of separate societies have the need for and the possibility of being integrated into a coherent unity. Perhaps systems formation of an organism is a better metaphor than of a cell. But metaphors are never exact. Gaia already exists at a foundational level; humanity needs to cease undermining it and begin completing it. We have no story that adequately situates this challenge in the full sweep of human history. Marxism, a materialist account of PI, offers some understanding, but Marxism too was seduced by the fantasy of unlimited development through industrialization. Even beyond its dismissal of religion (PII), its scientism and its cynicism about the liberal legacy of the Enlightenment (PIII), it took nature for granted as a mere factor of production. Marxism was not only wrong in its materialist reductionism, it didn’t take reductionism far enough. In terms of Parsons’ model (Figure 6), it saw the economy as the material foundation for society. But it is nature that is the matter-energy basis for society, and economies are subsystems of the biosphere, not the reverse. Changes in the forces and relations of production and the struggle of classes have indeed been a constant—and perhaps a dominant —feature in PI, and Marxism was valuable as a critique of Capitalism, but its dream of an end to history was a premature anticipation (Whyte 1948) of the planetary transformation that is now underway. The horrors of the 20th century revealed the dark side of modernity; this is tersely expressed by the year taken as the start of the Contemporary period: 1914. War, a constant of human history, has had its destructive power greatly amplified by technology. The senseless slaughter of WWI was followed by the devastation of WWII and the evils of totalitarianism. Science was distorted for ideological ends by both Nazism and Communism, both of which functioned as substitutions for religion; a third ideology, Capitalism, also supported by inadequate science and inappropriate faith, has yet to evolve into a stable and rational form. Today, modernity is challenged and optimism in reason is a thing of the past. While a secular and humanist culture has flourished, with the undermining of religion, the coherence of Western culture was lost. Other cultures that didn’t immediately feel the impact of PIII escaped for a while the trauma of incoherence, but this escape was only temporary, as the influence of the West spread across the planet. Modernization is differentiation, and differentiation produces attempts at re-integration, hence the resurgence of religious fundamentalism in both politics and culture. Science itself is challenged by its own complexity, having become fragmented and overspecialized, and the limits of scientific understanding increase the technological risks that we face. While PI and PIII face major and minor barriers, respectively, PII is not today at a critical juncture. The difficulties that it presents arise from its own multiplicity and from its relations with the other processes. Religions are far from the stage at which they might be integrated or at which they could make a positive contribution to the socio-technical (PI) and informational (PIII) knitting together of the planet, so this unification must occur despite tensions between civilizations based on different Axial traditions (Huntington 1997). The deepest of these tensions stem from reactions to Western dominance, and the strongest of these reactions comes from radical elements within Islam, an Axial tradition which awaits its own equivalent of Reformation and Enlightenment. More generally, what is needed to lessen inter-civilizational tensions is acceptance by the Axial traditions of religious pluralism. PII was originally regional. Despite claims to the contrary, no tradition is truly universal; all are partially unique. Moreover, value inheres in both universality and uniqueness, not in the former alone; and from the value of uniqueness follows the imperative of diversity. 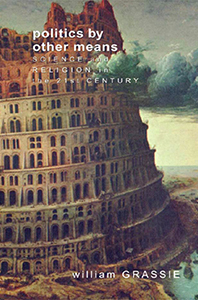 The conflict between religion and science (the tensions between PII and PIII) that began at the onset of modernity continues today. While efforts of reconciliation help reduce these tensions and raise the possibility of a new cultural coherence, this struggle remains necessary to purify religion and correct the distortions of narrowly interpreted science. Belief-based Western religion is in greater need of this confrontation than experientially-based Eastern religion. Though the former gave birth to science, the latter seems more congenial to it, since to the scientific mind experience trumps belief. There is another important tension between PII and PIII. The Axial religions favored pneuma (spirit) over psyche (soul)—mountain peaks to which we can ascend, as Mumford eloquently describes, over valleys where we normally live (Hillman 1976). With the coming of modernity, immanence has displaced transcendence, and secular psychology, dedicated to soul, has challenged the role of religion. Although a dialog between religion and psychology has begun, a spiritual-psychological teaching of wide appeal that embraces both pneuma and psyche has yet to emerge. The earlier Figure 5 includes a projected possibility of a second religious system formation event (E), which might be reached after passage through a period of difficulties (point 5). E would be to PII what D might be to PI. Reaching E would require more than religious pluralism and reconciliation with science. 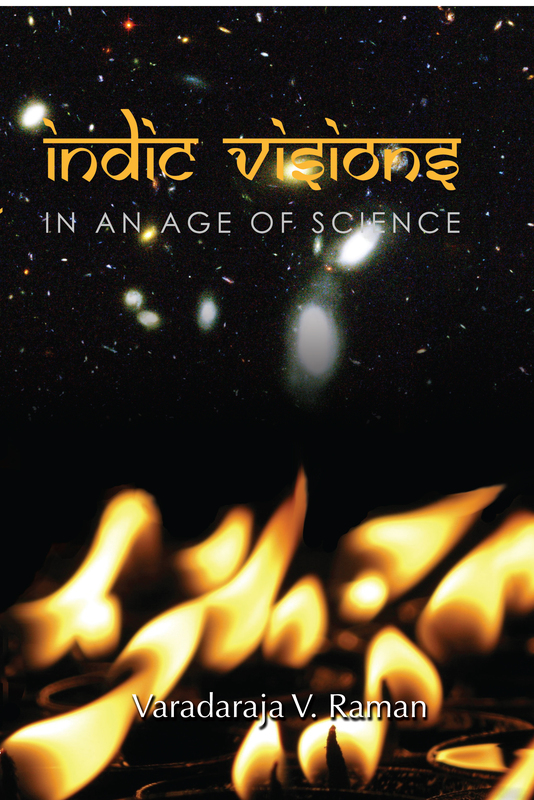 It would require a synthesis of the spiritual cores of the principal world religions, a synthesis that separated the wheat of spiritual truths from the chaff of dogma and superstition, that united the realms of peak and vale, and that forged a substantial connection between spiritual practice and science. Religion has a role to play in addressing the current environmental crisis, but the Axial traditions will not occupy center stage. 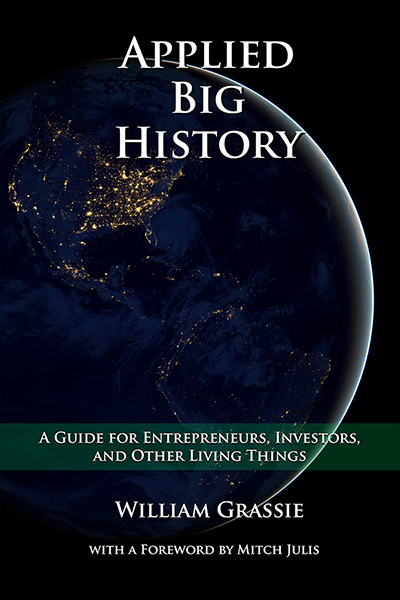 Those of humanity’s religions that were not precursors to the Axial traditions, that were instead aligned with the hunter-gatherer (S1) and agricultural (s2) phases of societal development, did not play major roles in most of human history, but have new relevance as the world faces the biospheric crisis of PI. Indigenous religions with their deep connections to the natural world remind us that nature is sacred and that personal and local ecological knowledge is a human possibility. Scorned by the builders of city-based culture, this ancient current of religion may become a cornerstone of a biologically-oriented culture of the future. This is schematically depicted in Figure 12. The virtues of the model developed in this paper are several. Formally, it is more complex than the skeletal structures of many macro-historical theories. It includes both the lawful and the contingent, and incorporates lineal, cyclic, dialectical, thermodynamic, and singularity-oriented notions of time. Substantively, it integrates materialist and idealist views of human history. It encompasses the Axial breakthrough and the ‘Great Western Transformation’ as structural events in the model, and the Agricultural Revolution, the impact of the Axial traditions, and the Industrial Revolution as corresponding phases of expansion in three processes. It provides a framework for understanding the multiple crises of the present historical moment, especially the current challenge of planetary system formation. The model violates political norms by insisting on some ‘centrisms.’ Though it acknowledges that all societies have forms of religion and science, it still asserts that while human societies developed everywhere after the emergence of the human species, B happened in only some regions, and C happened only in one. The salience given to B is Eurasian-centrism, and to C is Euro-centrism, and perhaps both are logo-centrisms, but views that are ‘centric’ are not necessarily incorrect, except politically, and centrism-phobia is a form of intellectual rigidity. Those who deny the importance of the Axial dispensations in Eurasia or the transition to modernity in Europe should come up with an alternative account that is plausible and competitive. Armstrong, Karen (2007). The Great Transformation. New York: Random House. Bak, Per (1996). How Nature Works: the Science of Self-Organized Criticality. New York: Springer-Verlag. Bennett, John G. (1961, 1966). The Dramatic Universe: Vol. Two: Foundations of Moral Philosophy & Vol. Three: Man and His Nature. London: Hodder & Stoughton. von Bertalanffy, Ludwig. (1979). General System Theory. New York: George Braziller. Boulding, Kenneth (1965). The Meaning of the 20th Century: The Great Transition. New York: Harper & Row. Christian, David (2004). Maps of Time. Berkeley: University of California Press. Gell-Mann, Murray (1994). The Quark and the Jaguar. Adventures in the Simple and the Complex. W. H. Freeman & Co., New York. Gott III, R.J. (1993). “Implications of the Copernican Principle for our future prospects,” Nature 363: 315-319. Hegel, Georg Wilhelm Friedrich (1975, first published in 1837). Lectures On The Philosophy Of World History: Introduction, Reason In History. New York: Cambridge University Press. Hillman, James (1976). “Peaks and Vales.” In On the Way to Self-Knowledge. Jacob Needleman and Dennis Lewis, eds. New York: Alfred A. Knopf. Huntington (1997). The Clash of Civilizations: Remaking of World Order. New York: Simon & Schuster. Jaspers, Karl (1953). The Origin and Goal of History. Translated by Michael Bullock. London: Routledge and Keegan Paul. Kauffman, Stuart (1993). The Origins of Order: Self-Organization and Selection in Evolution. New York: Oxford University Press. Marx, Karl (1977, first published in 1859). A Contribution to the Critique of Political Economy. Moscow: Progress Publishers. McNeill, J. R. & McNeill, William H. (2003). The Human Web. New York: W.W. Norton & Co.
Monod, Jacques (1972). Chance and Necessity: An Essay on the Natural Philosophy of Modern Biology. New York: Random House. Mumford, Lewis (1956). The Transformations of Man. New York: Harper & Row. Needham, Joseph (1956). Science and Civilization in China, Vol. II. History of Scientific Thought. Cambridge: Cambridge University Press. Parsons, Talcott (1966). Societies: Evolutionary and Comparative Perspectives. Englewood Cliffs New Jersey: Prentice-Hall. Parsons, Talcott (1971). The Systems of Modern Societies. Englewood Cliffs New Jersey: Prentice-Hall. Prigogine, Ilya (1980). From Being to Becoming: Time and Complexity in the Physical Sciences. San Francisco: W.H. Freeman. Rosenzweig, Franz (2005, first published in 1921). The Star of Redemption. Translated by Barbara E. Galli. Madison: University of Wisconsin Press. Spengler, Oswald (1926). The Decline of the West. Translated by Charles Francis Atkinson. New York: Alfred A. Knopf. Stearns, Peter N. (2007). A Brief History of the World. The Great Courses. Chantilly, VA: The Teaching Company. Toynbee, Arnold (1946, 1957). A Study of History. Abridgement of Vol. I-VI & VII-X by D.C. Somervell. London: Oxford University Press. Wallerstein, I. (1974). The Modern World System. New York: Academic Press. Whyte, Lancelot Law (1948). The Next Development in Man. New York: Henry Holt & Co.